Strong modern style is perfected in our Amish Cantoni Modern Sideboard, which features elegant, clean lines and smooth sanded hardwood construction. The richness of handmade solid wood furniture radiates warmth and beauty, while the solid wood construction ensures that it will stand the test of time and use. 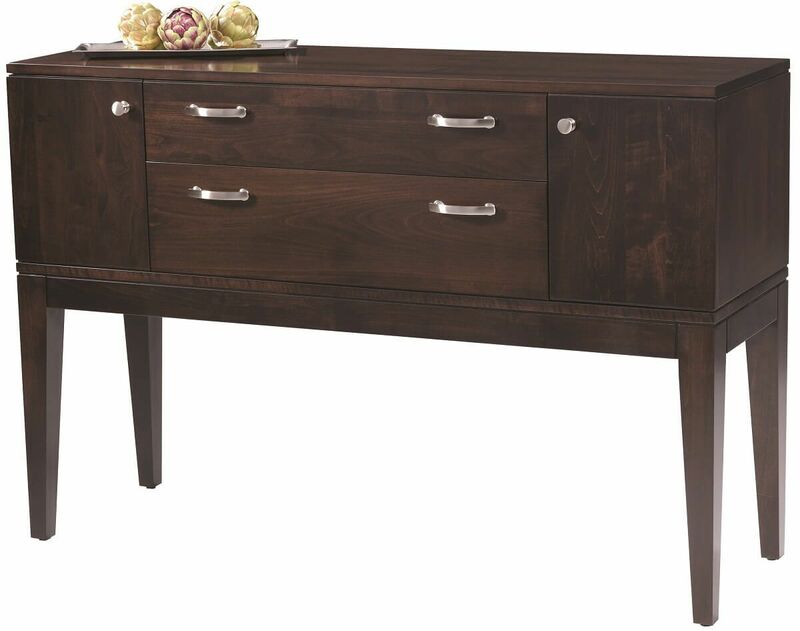 Countryside's Cantoni Modern Sideboard features uniquely flush fitted doors and dovetailed drawers, a beautiful 3/4" thick solid hardwood finished top, and elegantly tapered contemporary legs. Your Cantoni Modern Sideboard can be hand finished to your specifications to create a handmade server that is uniquely yours. 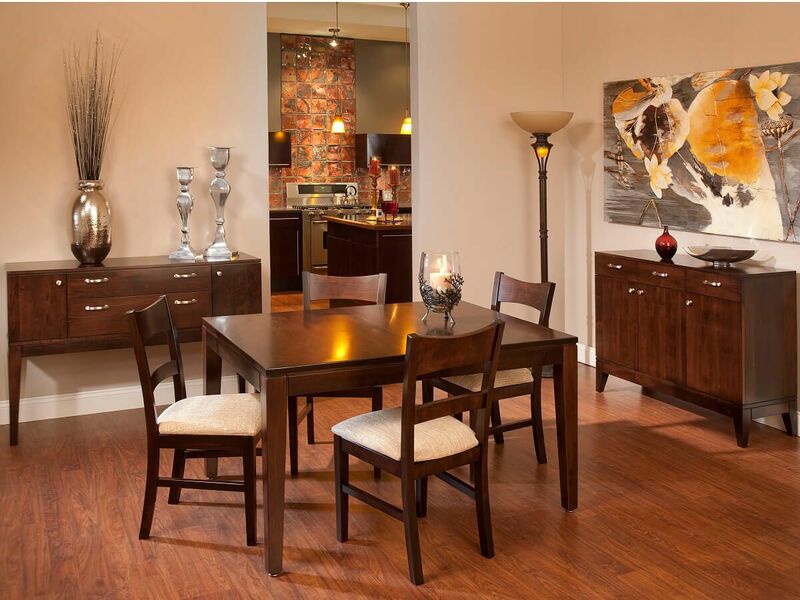 If you prefer the more buffet as pictured, consider our Venezuelan Chocolate finish over Brown Maple.